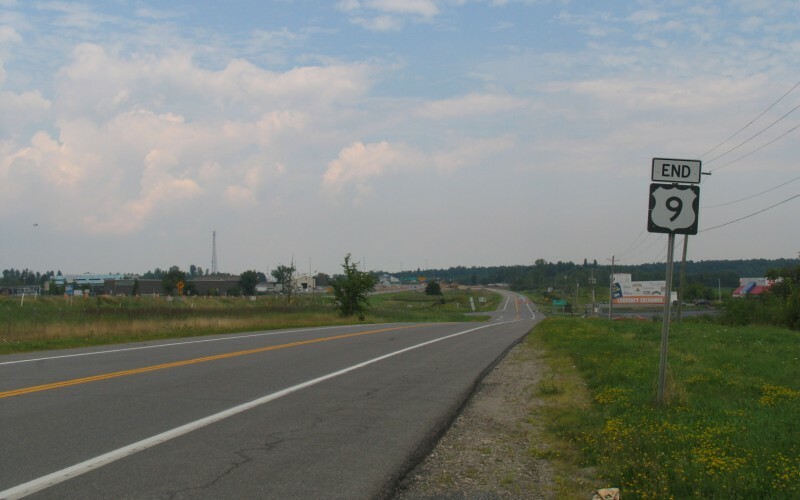 END signage for US 9 at I-87 (shown on the far left). US 9 previously continued up to the Canadian border. This is the northernmost interchange on I-87 in New York. Photo by Adam Prince, taken in August, 2006.